This itinerary will give you a perspective of one of the most scenic and culturally interesting areas of the Amazon, still undiscovered by mass tourism. 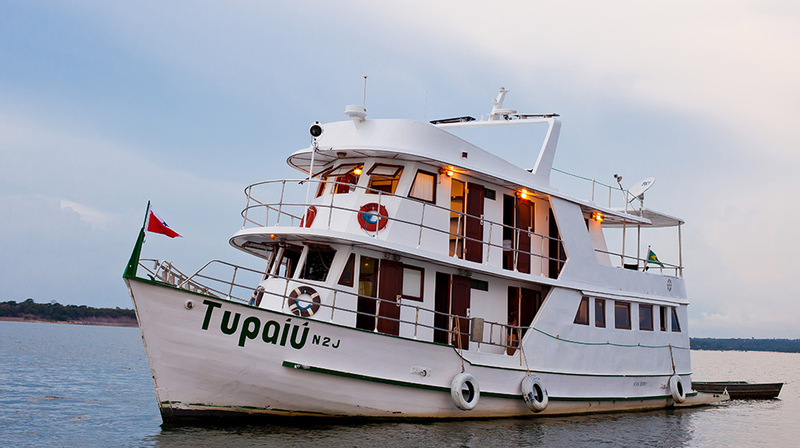 You will experience the entrance door to the Amazon forest in Marajó where wildlife is abundant, followed by a private cruise on the Tapajós River, full of river beaches, trekking in the jungle and indigenous communities. You’ll end with a few days to exploring Fernando de Noronha island, one of the most stunning tropical islands on Earth, with its crystalline waters, rich marine life and spectacular landscapes. Welcome to Belém, the most interesting large city of the Amazon, where the majestic river finally reaches the sea in an incredible estuary over 240 km wide. Start your exploration at the Mangal das Garças, a park that houses many birds and butterflies species from the rainforest. 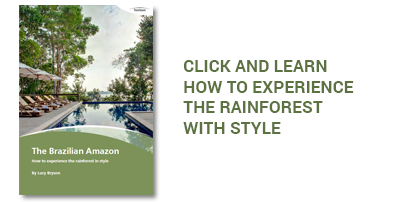 Visit a beach community by the mangroves that are very influenced by the Amazon Rainforest. Return to the community and have lunch in one of the fishermen's houses to experience the typical way of life of the islanders. Explore the Pará River on canoes observing the amazing mangroves around you. End your day riding friendly buffalos back to the main farm house. Take advantage of the privileged location of your hotel and go on small motor boat down the Paracuary River to a typical Buffalo Farm. Kayak around the shallow waters with some of the most impressive mangroves in Brazil, full of birdlife and try your hand at piranha fishing! The adventure starts upon arrival in Santarém, where the majestic Amazon river meets the Tapajós river. This incredibly diverse, and still completely off the radar region of the Amazon was nicknamed by French Explorer Jacques Cousteau as the Caribean of the Amazon, because of the white sandy beaches and crystal clear waters. Aboard your own private yacht, you will feel like an authentic explorer, while the friendly crew pampers with you great service, and beautiful beach dinners. Wake up in front of Tapajós National Forest – a protected environment, where a 4 hour trek will lead you to the heart of the primary forest where the giant trees are located. Enjoy a final afternoon on the beaches of the Tapajós river, where you can paddle board, or just soak up some sun as the crew prepares a few caipirinhas during sunset. 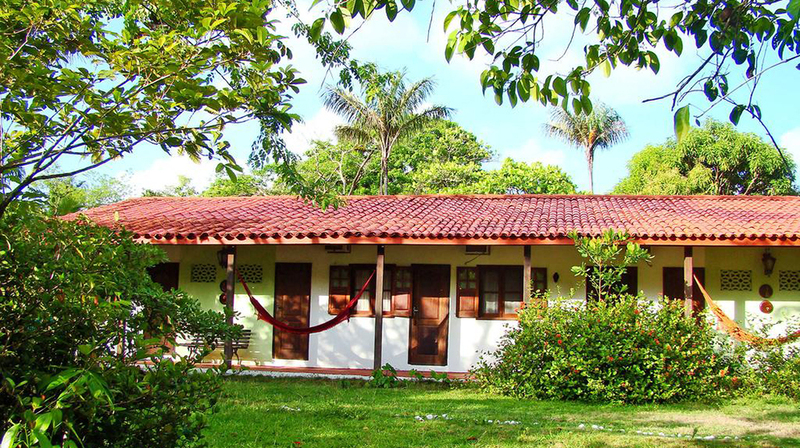 A day to idle in one of the most beautiful spots we know of in the entire Amazon region. Choose between idling on the beach, swimming, canoeing, going for a forest trek or simply enjoying lunch, cocktails and dinner on your own private beach. Relax completely in the silence and immensity of the forest. Set sail early from Ponta Grande beach towards Canal do Jarí, a narrow canal that joins the Tapajós and the Amazon Rivers. Sailing down this canal is a unique and intimate experience of the jungle. In the end of the day, enjoy the sunset by the entrance of this canal and have a nice view of parrots, parakeets, storks and egrets. Back onboard, sail overnight to Tapari lake. Say goodbye to the Amazon and fly to Recife. Your base tonight will be the beautifully colored historical city of Olinda, perched on a hill overlooking the ocean. 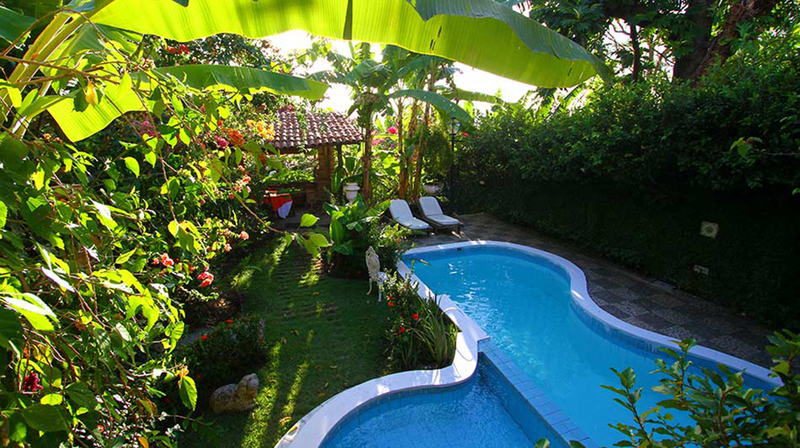 Explore the town on foot and spend the night at a charming Pousada. Morning at leisure to walk around Olinda. A short one hour flight takes you to Fernando de Noronha Island. Considered Brazil’s own Hawaii mixed with Galapagos, this UNESCO biological reserve is home to the largest colony of spinner dolphins in the World. This is the ideal place for those seeking breathtaking sceneries, marvelous beaches, world class scubadiving and close contact with nature, away from mass tourism. Days at leisure to relax on beaches, snorkel, dive, surf, trek, or simply soak up the energy of this island. Last day in Brazil! Board on your flight to São Paulo, where you´ll connect with your international departure flight. 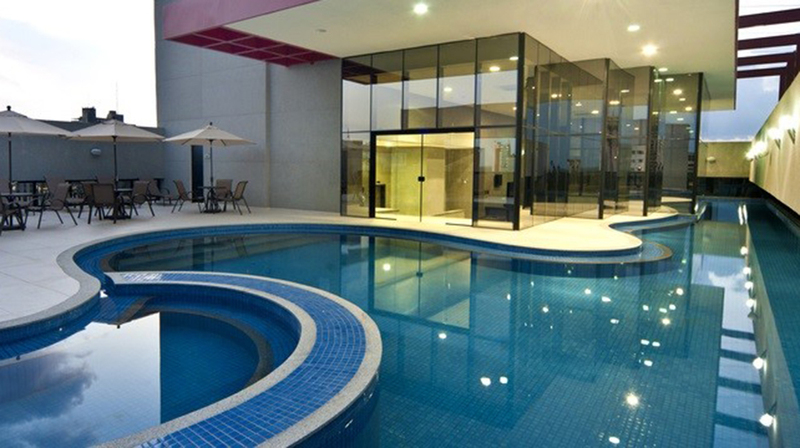 The Radisson is a large business hotel, very well located at a central street, close to shops and restaurants, in the best neighborhood of Belém. Plain but beautiful, it is the best option in town. 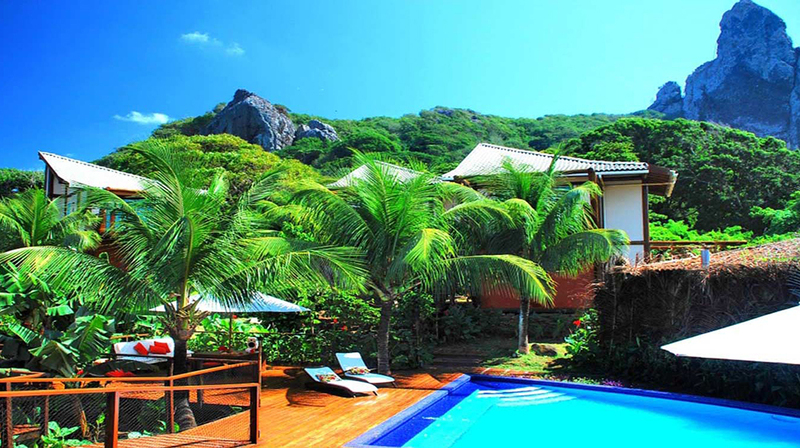 Built to blend into the tropical rainforest that surrounds it, Teju-Açu is centrally located in the Island, with an easy access to almost every beach. With a pleasing restaurant with Brazilian cuisine and beautiful facilities, it has the best value for money.